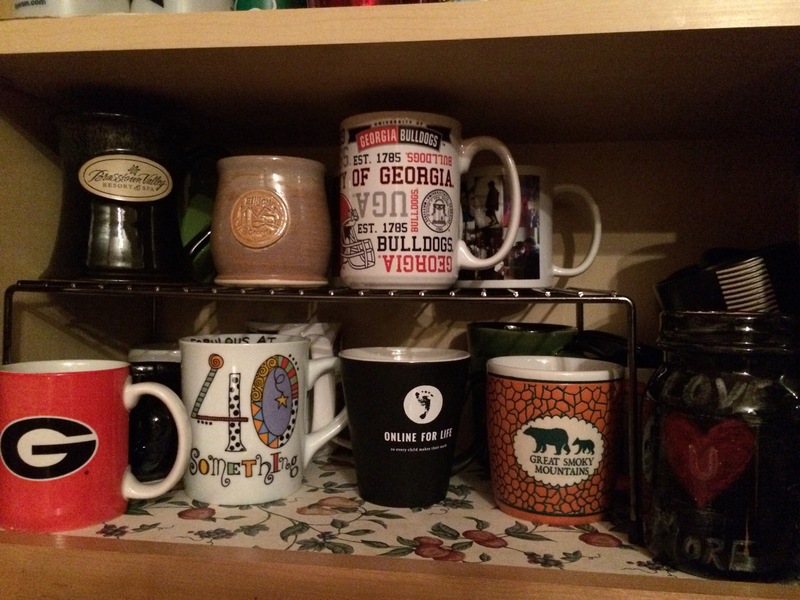 I love coffee mugs! 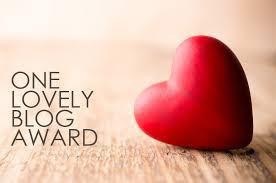 Yes, I collect them, and I have a ton! I probably have way too many these days, but I am always wanting to have one as a souvenir from the different places we visit. I’ve been collecting these since I was in middle school or high school; so, the collection is rather large. I keep many of them packed away, hoping one day to have the space to display them all. 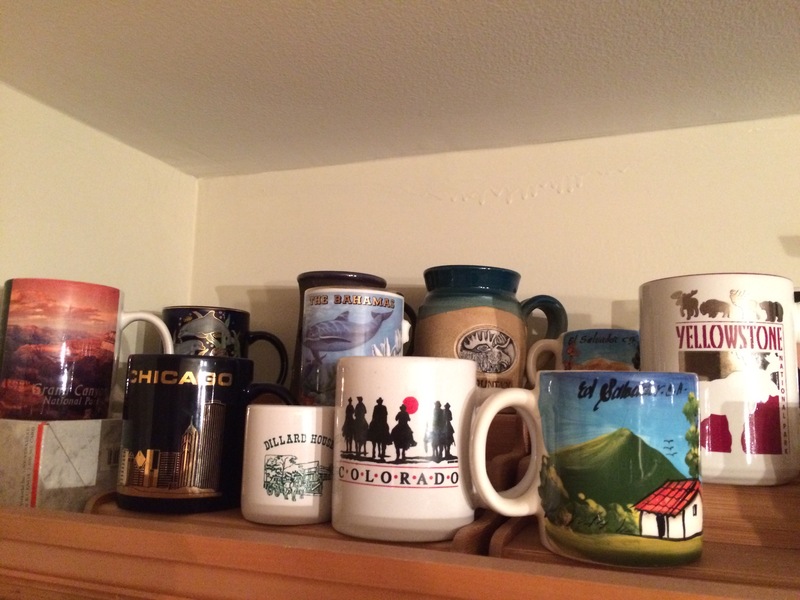 I have one from Colorado and the Smoky Mountains, and one from Panama City, Chicago and Myrtle Beach. I even have one from the Bahamas. 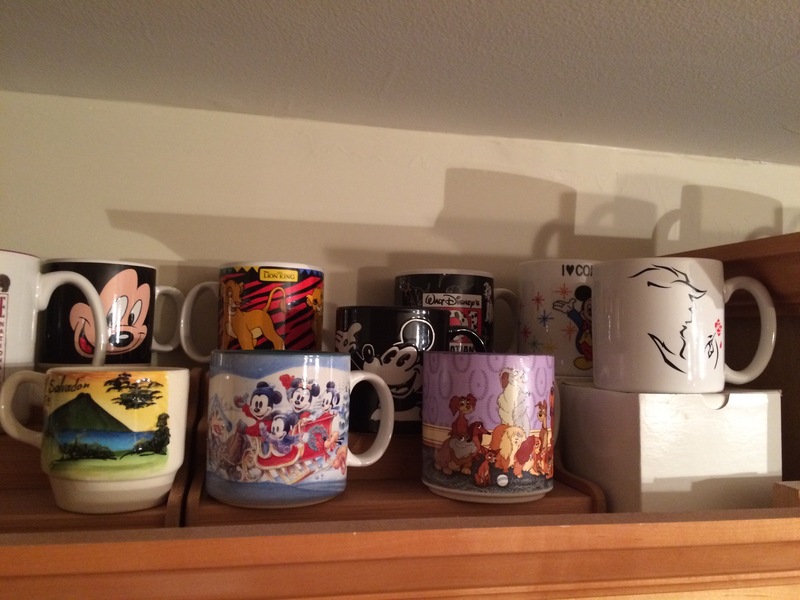 I have some from the Kim Anderson collection and several from Walt Disney World. I have some from places I’ve worked and restaurants I. Which I’ve eaten. I’ve even got one or two from certain causes I support. 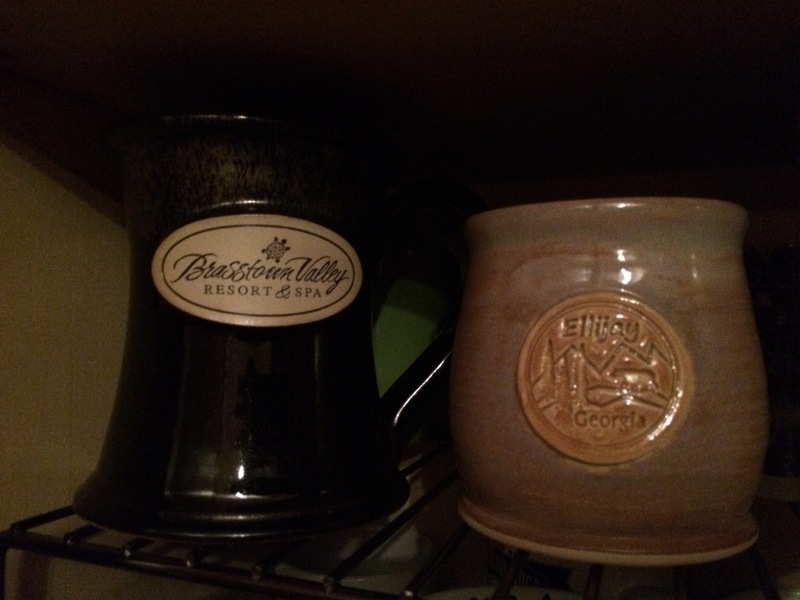 A few of my all time favorites are a Brasstown Valley mug my husband gave me and a Smoky Mtn one my boys have given me. I also really like a handmade pottery one I picked up in Ellijay, Ga. 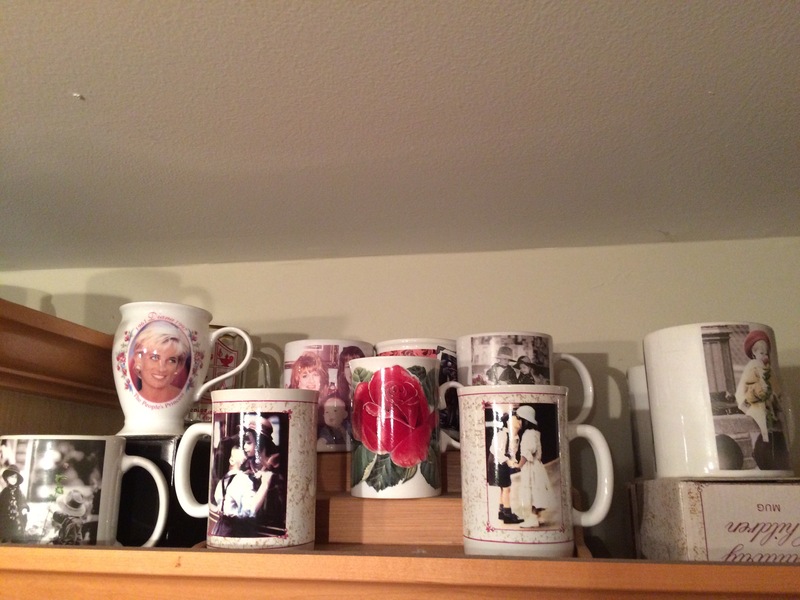 I drink hot tea from it quite often.